New for 2017 Backyard Dream Combo Module. 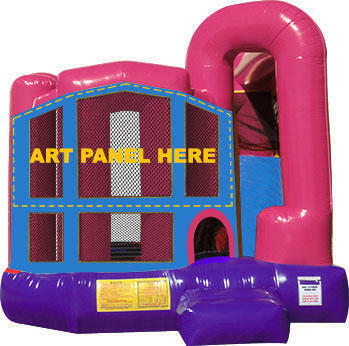 It has a slide that has a slide platform of 9'4 inches in the air. It also has a basketball goal inside to keep the kids busy. There is plenty of jump area inside also.